Based upon a Full Service 100 seat Wine Bar/Cafe, featuring a sit down Lunch, Dinner menu, and featuring Spirits, Beer and extensive wine list by the glass and the retail sale of wine. Easily edits to cover any scenario. For the 19th year in a row wine sales have continued to grow in the US and the Retail Wine Industry is now estimated to be worth more than $35 billion dollars annually. The US is the largest wine consuming nation in the world with more than 100,000,000 people in the U.S. drinking wine. As of December 31, 2012 there are now over 7,900 retail wine facilities in the U.S. an increase of 11.79% over 2011. 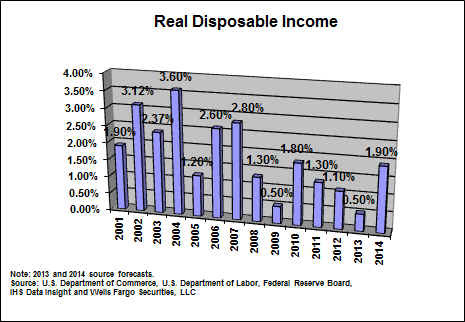 Since 1993 the Industry has seen an increase of more than 65% growth or better than 5% annual average growth per year. Today, a new generation entering young adulthood is exhibiting the same receptivity to wine that leading edge Baby Boomers did more than 30 years ago. And like the Baby Boom generation, their numbers are so great as to make their dominance in the market inevitable. They are the Millennial generation, and they offer the wine industry the kind of growth potential not seen in more than thirty years. You only have to look to some of the major operators in this sector like Constellation Brands to see confirmation of growth in the US market. The demographic and physiographic trends are all very positive when you consider the key wine consumption age is 40 to 65 and that 5,000 Baby Boomers move into that age group every day in the U.S. These demographics bode well for organic growth within the U.S. Wine Industry for the next 15 years or more. There are not a lot of industries with such positive growth dynamics in play. While the operating environment will remain challenging, America’s 980,000 restaurants are expected to post record sales in 2013. According to the National Restaurant Association, Restaurant Industry sales are expected to reach a record $660.5 billion in 2013 a 3.8 percent increase over 2012 and marking the third consecutive year that industry sales will have topped $600 billion. Starting a small business is always risky, and the chance of success is slim. According to the U.S. Small Business Administration, over 50% of small businesses fail in the first year and 95% fail within the first five years. Whether you are starting a new Wine Bar, Cafe or Specialty Wine retailing facility. Whether you are looking to raise additional capital to expand your currently profitable wine cafe/bar, or looking to evaluate and value your wine cafe/bar to sell, current statistics prove that you will do much better with a business plan than without. According to Dunn and Bradstreet the primary reasons for failure vary, but all of the reasons come under the category of poor planning. You are a part of in the United States representing 4% of the U.S. 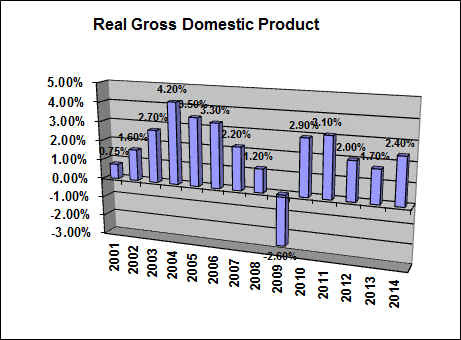 Gross National Product in the most competitive Industry in the world. Your management decisions will decide whether your Business survives or thrives in the face of increased competition. The most important benefit of a business plan is that it sets the stage for the future of your Bar as you want it to be positioned in the marketplace. A business plan will make it easy for your banker to take action as he/she gains insight into the details of your Business and the goals that you have outlined. Potential investors can review your plan and decide whether or not to make an investment based upon the risk. You will benefit most as you study and gain detailed insight into your own operations. Updating and constantly reviewing your plan will give you more insight as both a manager and decision maker. TIME IS MONEY...We have estimated that it takes an average of 100 hours to research, and write a comprehensive business plan within any Industry. Creating and compiling the five year financial plan and forecasts including 5 years of budgets, income statements, balance sheets, cash flow analysis, and key financial ratio analysis can take more than 20 hours of work by you or your accountant, before he/she sits down to explain it to you. Shouldn't you know how your financial decisions impact the bottom line? . 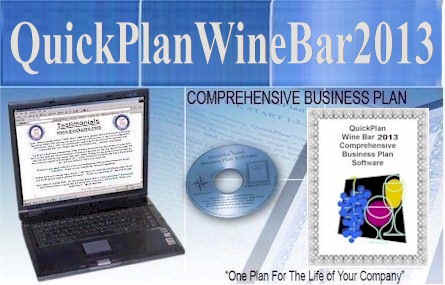 Now consider sitting down in front of your computer to edit and fill in the details of an already written, researched and organized QuickPlan® Wine Bar Business plan with a proven track record of success, that has already raised millions of dollars in the marketplace. Not only will you save 100's of hours but you will know your Business by the numbers and be able to explain and defend your plan to anyone, but you will have plotted a clear course to profitability for the next five years to handle even the worst case scenario. QuickPlanWineBar® is a comprehensive business plan based on a full service 100 seat Wine Bar Cafe offering lunch and Dinner. Edits easily to cover all segments of the market place and includes a separate Cover Charge revenue line item for special events promotions. 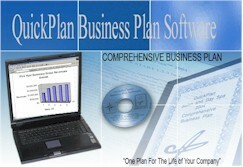 It includes hard copy and software for you to edit into your own. Then simply insert your copy into the three ring binder and organize it with the pre-labeled index included. The assumption section asks for over 615 lines of assumptions, (easy to use, assumptions that don't apply to your operation just plug in a 0), including operating expense line items, balance sheet, working capital, and financing assumptions, the matrix even includes two financial calculators built in to give you copies of the amortization schedules for your financing assumption Hospitality Resources on the Internet over 350 html links.. (html file) to all of the following categories on the Internet, (already in html, just point and click)...Associations, Beverage Resources, Culinary, Free Newsletters, Government, Management resources, POS Vendors, Publications, Recipes, Recruiters, Restaurants and Chains, Restaurant Directories, Schools and Universities, Suppliers, and Technology. Created by Chuck Gohen of Restaurant Associates Northwest of Portland Oregon. Starting with the, "before you sit down checklist , you will gather your information together to edit on your word processor, (Macintosh, Windows, DOS, etc...) that information which does or does not apply to your Bar/Tavern or organization....from your average ticket and menu, to inventory , taxes, and staffing. Fill in the details to make this your own comprehensive business plan. Pull up the Five Year Financial Forecaster Spreadsheet and insert your average ticket price for both Food and Beverage, ( Separate Wine, Beer, Spirits and Beverage calculators) , separate cover charge revenues for special events and line by line as you fill in the assumptions you will see how to make your Bar a Profitable success! Print up your numbers with the new already formatted QuickPrint feature, edit the text portion of your plan on your word processor we recommend Word and require Excel, and then simply insert your copy into the three ring binder and organize it with the pre-labeled indexes included. MicroSoft™ Word™ and Excel™ or MicroSoft™ Office™ are required. 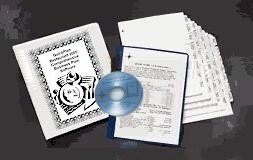 The cost of this QuickPlan® Package is $195.00 USD plus shipping and handling for the complete package or $145.00 USD to order the email download only. Not available in any store, to order call 1-800-417-7017. Executive Summary covering the Business Description, Industry Analysis, Marketing Strategy, Location and Operations, Management, and Financial Plan including Use of Proceeds, Exit/Collateral/Payback Strategy, and Conclusion. Industry Analysis including current Already Researched and Written Current 2013/14 Wine Bar Industry Analysis includes current growth rates by Region and State 1997-2012 with Outlook and consumption trends through 2014. Just updated in November of 2013 (Separate Night Club Analysis included also)... Operational Demographic Trends, and sector forecast 2013/14.., Local market segment for customer profile, local competition, and business risks. Location and Operations covering Property and Facility, Licenses and Government Regulations, Utilities Requirements, Build-Out Estimates, Permits, Build-out Equipment, Furniture, Bar/Restaurant Equipment, Menu, Personnel/service, Procedures and Controls, Inventory, Ambiance and Entertainment. Industry Operations Comparison, your numbers vs the Industry for your business profile. Wine Bar Operations Manual for you to edit into your own. 2013/14 Food Service Industry Analysis included.